There has been much written over the past week about the choice of the FA to appoint Roy Hodgson as the new England manager over the supposed ‘people-choice’ Harry Redknapp. Ignoring the question of who is the more experienced at bigger clubs, ignoring the question of who the players would prefer, ignoring the question of who the fans would prefer, the real question is who will be the most successful as the manager of England. This question really comes down to a clash of styles – Hodgson and Redknapp have almost polar opposite approaches to almost every aspect of management and coaching. 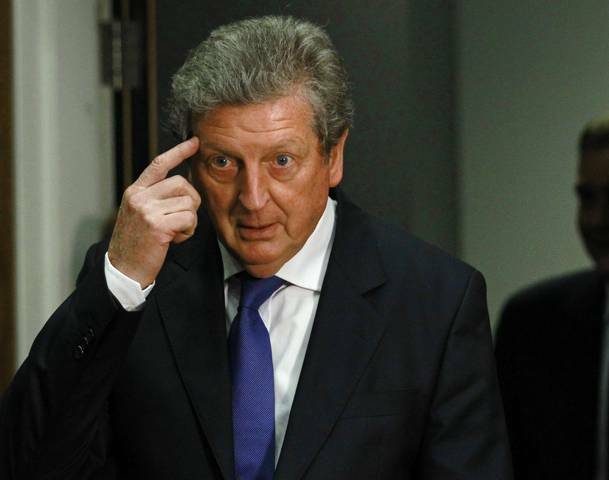 We shall look at both of the two managers’ styles and see why Roy Hodgson is the correct choice for England. Roy Hodgson is very much a pure coach – he is very active on the training ground. He relentlessly drills his players on the training ground to ensure that they know exactly what they need to do on the pitch. Simplicity is often the key for Hodgson’s approach. He does not try anything flashy, but he ensures that the basics are there in the system that his team plays. In the limited time that national coaches get to work with their players on a daily basis, this approach could be very successful. However, like him or not, he is very talented in getting the best from individuals and gets on well with people, as shown by his close relationship with the media. While sometimes this can work very well when they are able to find space and trouble defences, it can also create problems, as has been shown in Tottenham’s poor run of form this year, where the freedom offered to Bale and van der Vaart has often led to a lack of structure in their side, and when those players are not on form, the team will struggle. On the training ground, Harry Redknapp does not conduct training sessions himself either. He very much acts as an overseer while he entrusts the actual training to his coaches – Joe Jordan and Kevin Bond are a key pair in Harry’s team at Tottenham. So, we can see that Redknapp and Hodgson vary greatly in terms of both their approach to training and their approach to tactics on the field. So, which approach would suit England better? Going into Euro 2012, all but the most deluded of England fan would accept that England are certainly not one of the favourites for the tournament. In reality, they are a long way behind the likes of Spain, Germany and Holland, and probably even the likes of France and Portugal. In other words, England are very much outsiders for the tournament. As a comparison, it would be useful to look at other teams that have won international tournaments from the position that England find themselves in. Greece in 2004 won the tournament, while Zambia were highly unexpected winners of this year’s African Cup of Nations. Despite their World Cup exploits, Uruguay were unlikely winners of last year’s Copa America. There is one common theme that can be found in all three of these successes. Each team played defensive and simple football, rather than attractive football. Indeed, Greece and Zambia both had the lowest pass completion rate in their respective tournaments. While England fans would love to see their side playing attractive passing football, the truth is that we would get slaughtered by the bigger teams in the tournament. Even now, the leading sides in international football play relatively defensively. Despite their style of play, Spain won the World Cup scoring only eight goals in seven games. Their success was as much based around solidity in defence as it was based on their Barcelona-style ‘tiki-taka’ passing. Their final opponents in 2010, Holland, are considered one of the least ‘Dutch’ teams in recent times – the Dutch ideas of total football have very much been side-lined at the expense of two holding midfielders in the centre (van Bommel and de Jong during the World Cup), relying on the front four to score the goals. Even the young German side that thrilled spectators so much in the World Cup relied very much on a strong defence, allied with lightning-fast counter-attacks. So, to give themselves any hope of competing in Poland and Ukraine, England need to play a solid, basic defensive game, while looking to break quickly. 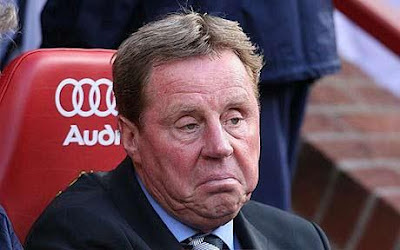 In this case, Hodgson seems very much more suited to the job than Harry Redknapp. Whether you like his style or not, Hodgson will ensure his side are a solid unit, working for each other, far more than Harry Redknapp would. He will instil organisation and discipline into a squad that often seems to have been lacking these simple ingredients. As Redknapp supporters in the media repeatedly point out, Hodgson has had far greater success with smaller clubs than the top teams. In terms of international football at the current time, England are more of a mid-table side than they are a leading nation. Their very attempt at painting Hodgson as a failure at the top-level and a success at underdog clubs merely serves to strengthen his England credentials at this moment in time. However, as fans and the media seem to claim on a regular basis, where are the world-class English players in this generation? If Hodgson can get the best out of good players, this would again seem perfectly suited to England’s purpose right now. At the end of the day, England are highly unlikely to win Euro 2012, or any tournaments in the near future for that matter. However, under Harry Redknapp’s open, attacking and free style of football, we can safely say that England have no chance of winning Euro 2012. It works at Tottenham because he has plays of the ilk of Luka Modric, van der Vaart and Gareth Bale. England do not currently have this type of player. Under Roy Hodgson’s organised and disciplined style, England at least have an outside chance of winning the tournament. Greece and Zambia have proved that disciplined, defensive football can succeed at the top level. England have a much stronger squad than either of those sides did. Thus, from a purely stylistic point-of-view, Roy Hodgson is a much better fit for England at the current moment, than Harry Redknapp would be.